Sound artist and performer Nathaniel Mann was commissioned by New Dimensions to create a new work for Rushmoor. SF Cody: A Rushmoor Epic celebrates moments in the area’s rich history, and draws on the life and times of local aviation legend and cowboy, S.F Cody. 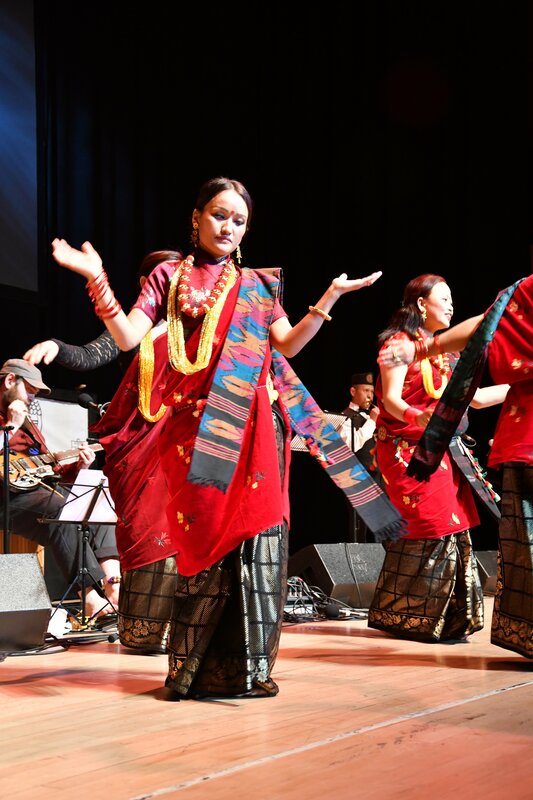 In developing the work Nathaniel collaborated with Farnborough-based 1st Naumati Baja Gulmi UK, a Nepalese band consisting of ex-Gurkha officers. SF Cody: A Rushmoor Epic was premiered at The Anvil on Sunday 2 April, in the presence of The Ambassador of Nepal, His Excellency Dr. Durga Bahadur Subedi. The evening was a spectacular blend of traditional Nepalese Naumati Baja music and British folk, with artist Stewart Easton’s crankie providing a beautiful visual commentary. Nathaniel has previously worked as Composer in Residence at the Pitt Rivers Museum (University of Oxford), there he created a series of events and new works in response to the museum’s spaces and collections. His project Pigeon Whistles was awarded the George Butterworth Award for Composition 2014. As one third of the avant-folk trio Dead Rat Orchestra, Nathaniel has performed internationally and he is currently part of the Broadsides Ballads project with Sam Lee and Lisa Knapp. 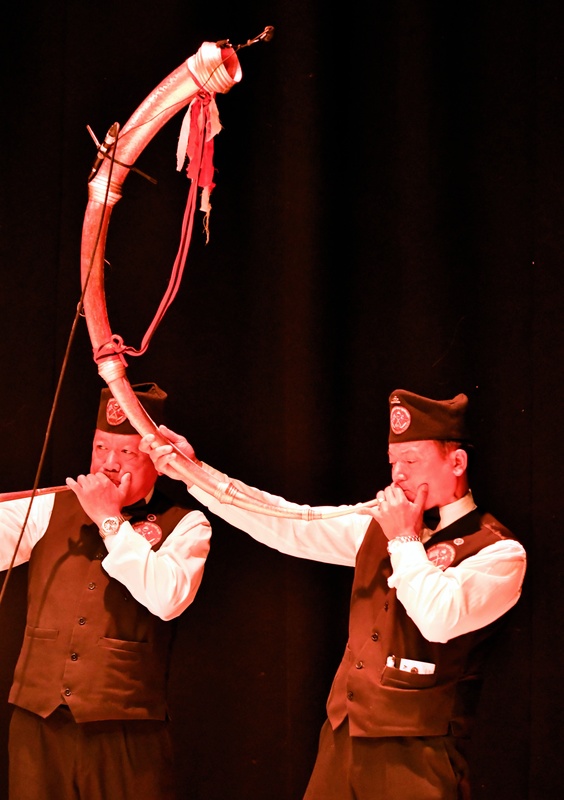 1st Naumati Baja Gulmi UK was founded in 2010 and is the first large traditional band set up outside of Nepal. Naumati Baja (literally meaning ‘nine musical instruments’) consists of traditional instruments played in Nepal and the Himalayan regions of Sikkim, Darjeeling and Assam.